Person is that property of a noun or a pronoun which distinguishes the speaker, the person spoken to, and the person or object spoken of. There are three persons: first, second, and third. The first person denotes the speaker. The second person denotes the person addressed. 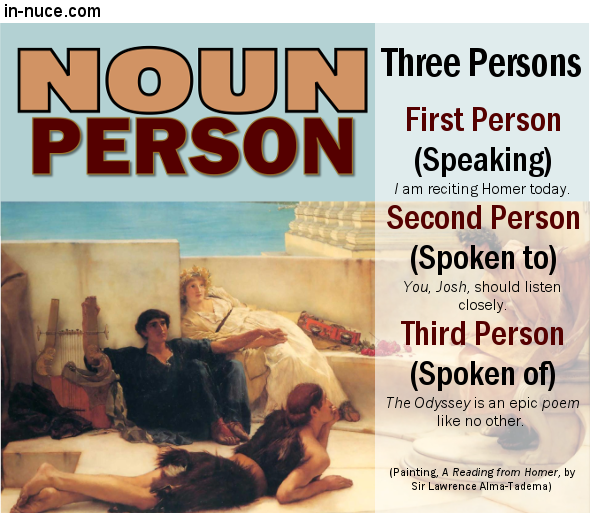 The third person denotes the person or object spoken of.